A look at jobs in the newsroom, fake news and fact-checking journalism, and highlights the problem of threats to media freedom in South Africa. 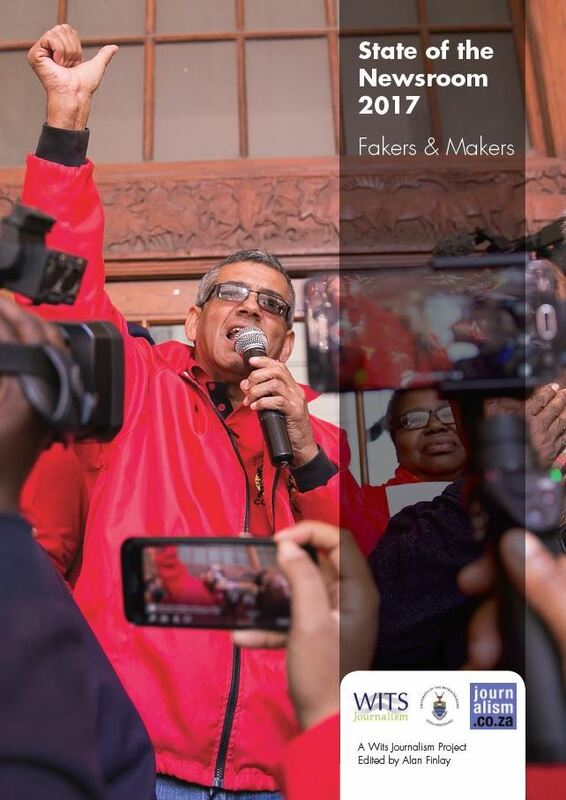 The fourth annual report, State of the Newsroom: Fakers and Makers, looks at jobs in the newsroom, fake news and fact-checking journalism, and highlights the problem of threats to media freedom in South Africa. In a survey conducted across a range of newsrooms both big and small, it found that young, black women journalists are more likely to find work in South African newsrooms than any other demographic. The survey also confirmed that, with one or two exceptions, young, less experienced journalists are writing the news we read every day. While its overview of honours research into fake news suggests there might not be as much of it circulating in this country as we imagine, it also found that fact-checking journalism has yet to gain the traction in South African newsrooms as a marketable genre in the way that it has elsewhere in the world. The report also highlights several other issues that impacted on the media landscape during 2017, such as the ongoing decline in print circulation, The Times closing down, changes in ownership at ANN7 and Mail & Guardian, digital migration, the crisis at the public broadcaster, and corruption and state capture. While the report dedicates some space to a timeline account of what went on at the SABC, it emphasises the ongoing harassment and intimidation of journalists which it calls a “worryingly permanent feature of our media landscape”. Documenting changes that shape how the news is produced today. State of the Newsroom, 2015-2016: Inside/Outside is now available online. This is the third State of the Newsroom to be published by Wits Journalism and asks the key question: what exactly do we mean by the “newsroom” today? Inside/Outside offers perspectives on what is happening both ‘inside’ and ‘outside’ the newsroom as we know it. 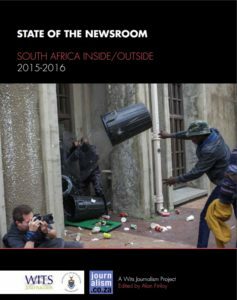 While providing an overview of key events shaping the media environment in South Africa over 2015 and 2016, it considers transformation in the print media industry – a view from the ‘inside’ – before turning to coverage of the recent #FeesMustFall student protests, which demonstrated how independent news producers could cover unfolding events more effectively than the mainstream media, and how student social media impacted on the coverage offered by the mainstream. A key strength of this report is the perspectives of editors and journalists – the result of a series of interviews – both working in the mainstream newsroom and writing into the news from the ‘outside’. State of the Newsroom, 2014: Disruptions Accelerated documents a time of major transitions in the journalism industry. 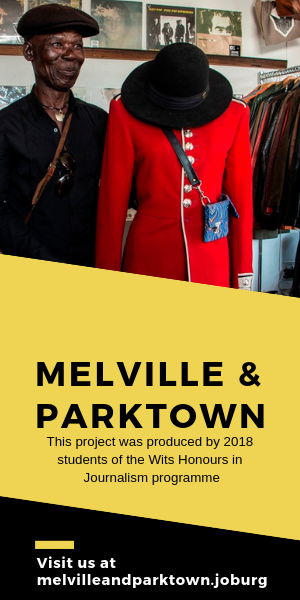 Besides documenting shifts in the media landscape in the country, it looks at falling circulation in print media, digital developments in the newsroom, community newspapers and radio, and investigates the career paths taken by journalism graduates. 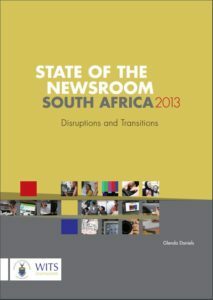 The 2013 report, titled Disruptions and Transitions, was the pilot issue of State of the Newsroom. 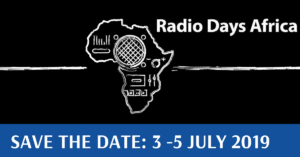 Setting the scene with an overview of the media landscape in South Africa, including the legal, political and regulatory context, it considers race and gender, the digital transition in our newsrooms, rulings by the ombudsman, and the training of journalists offered by media houses. 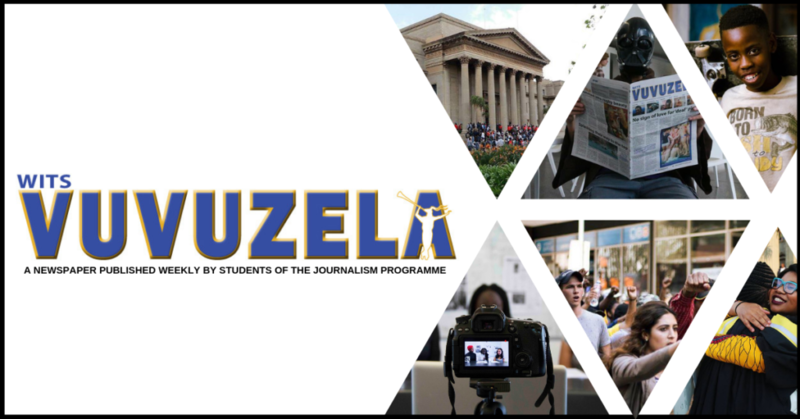 Wits Journalism launches its second State of the Newsroom, South Africa, 2014: Disruptions Accelerated at a Media Freedom Day celebration co-hosted with the South African National Editors’ Forum (Sanef) on October 17. The State of the Newsroom research, led by Glenda Daniels, documents a time of major transitions in the journalism industry. 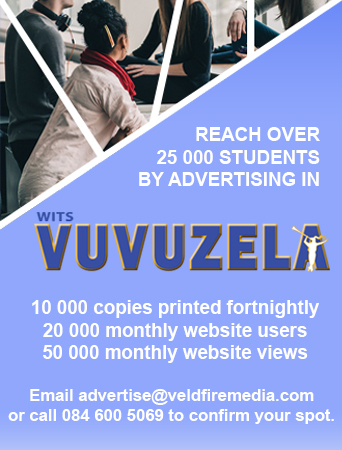 It is of industrial and social value, and is the first of its kind from any Journalism school in SA. 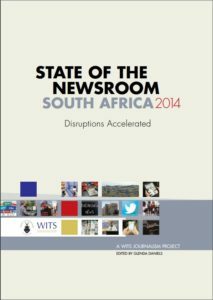 The 2013 report, titled Disruptions and Transitions, was a pilot for what we hoped would be an annual State of the Newsroom research report. The pilot was very well received by the industry, as well as the peer reviewers. Newsrooms are going through massive change and this was a ground breaking effort to catalogue and critique it. We ensured the research had a strong academic base, but presented it in a way that was useful to our media industry. As a result, it has been widely used and quoted. It has drawn praise from the World Association of Editors. The 2014 State of the newsroom: Disruptions Accelerated chapters include: The Media Landscape; Digital First Developments: Experimentation and Promiscuity; Social Media Trends; Twitter and Journalism in the Newsroom; Community Newspapers: Diversity and Difficulties; Community Radio: Power Plays; and Where do Journalism Graduates go? It is about 140 pages, with 77 interviews. The study was both quantitative and qualitative in nature. The report contains trends, analyses, graphs, graphics, photographs and finally, there are appendices with important information on transformation – race and gender; falling circulations in print; retrenchments; social media policy guidelines; and attacks and harassment incidents of journalists over the last year.